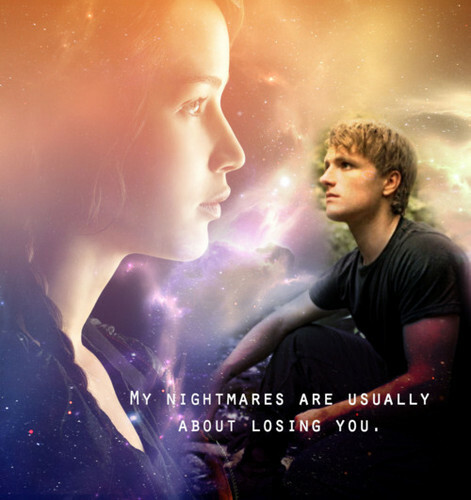 Peeta & Katniss. . Wallpaper and background images in the Peeta Mellark club. This Peeta Mellark fan art might contain کنسرٹ. i can't wait for the hunger games movie!!!!!!!!!!!!!!!! !